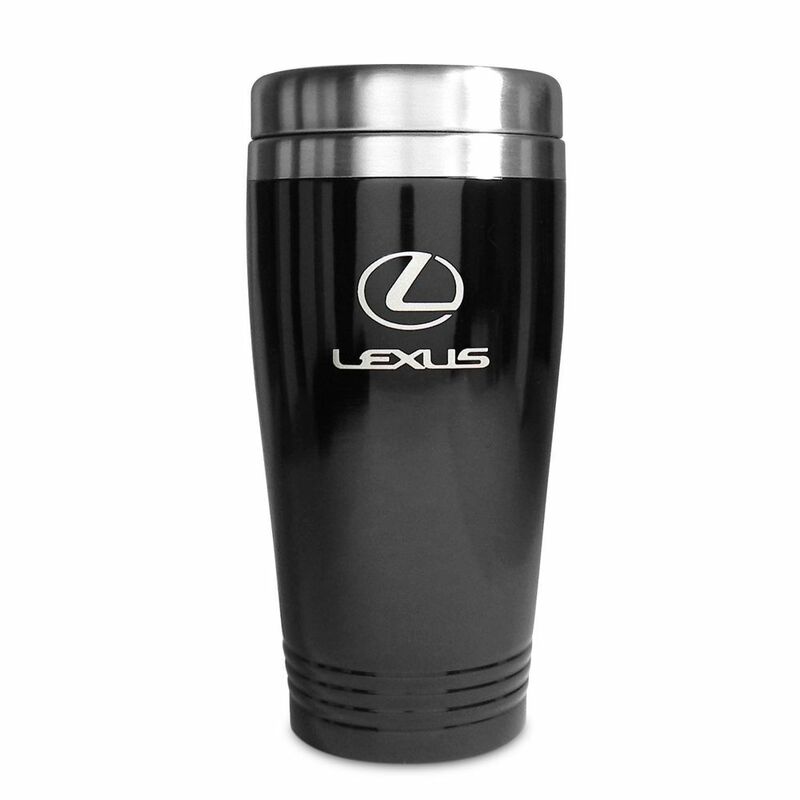 Stainless steel tumbler with push-on lid and thumb-side closure. Unique Black and Lexus logo design creates an intriguing optical effect. Hand wash. 16 oz. Black.